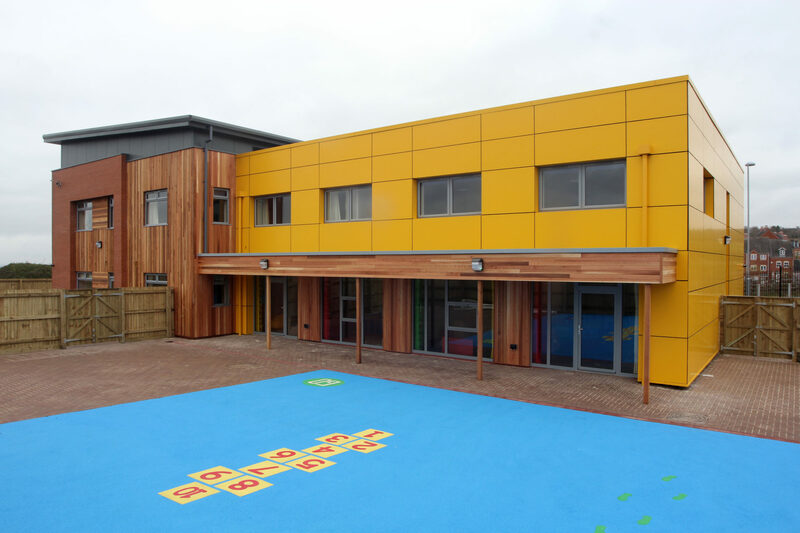 McPhillips designed and built a new 1100m2 two storey nursery and after-school club designed to achieve BREEAM Very Good (New Construction 2011). 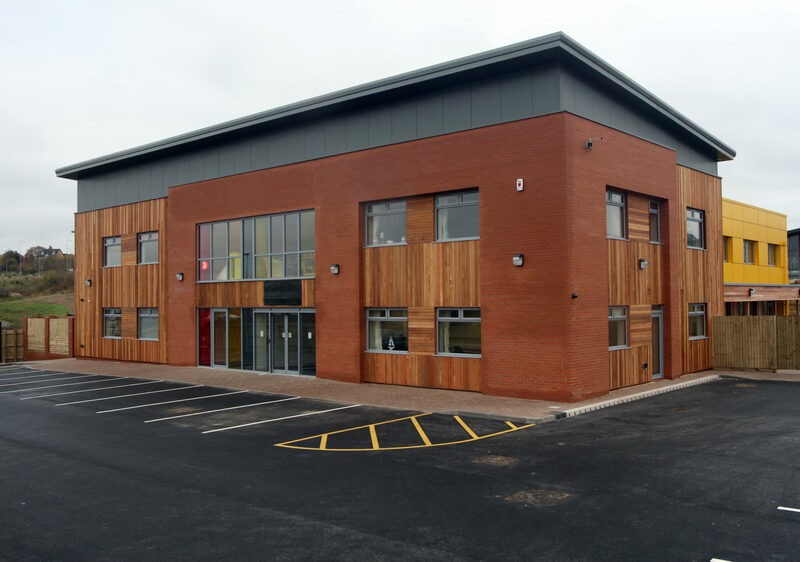 The construction is structural steel post and beam mono pitched steel frame with a mono pitched metal roof, block and facing brick with cedar and aluminium cladding. 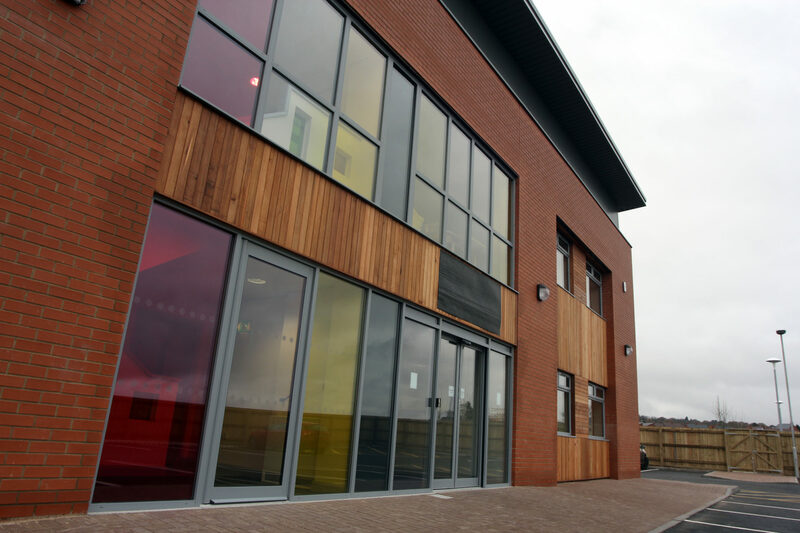 Upper floors are composite metal deck and power floated concrete floor slab with suspended ceilings to all areas and an 8 person lift was installed. 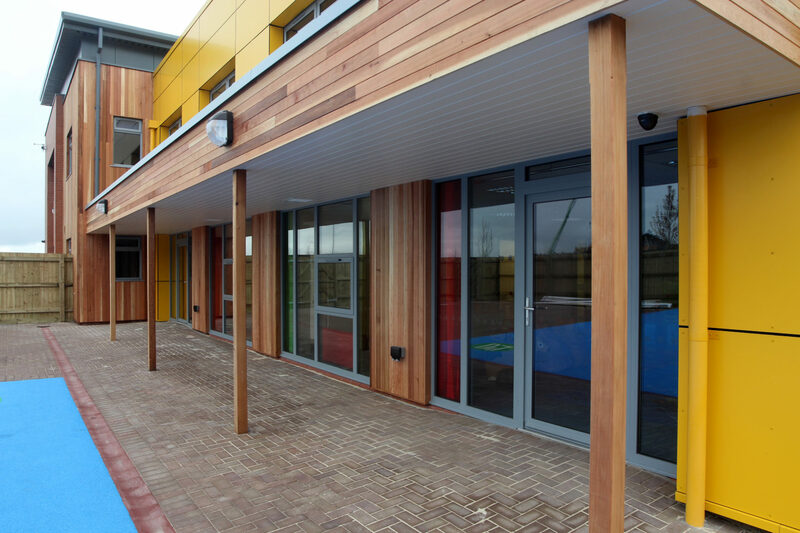 External works include a 45 space carpark and hard and soft landscaping to the fenced outdoor play area. McPhillips recommended the incorporation of PV panels to provide additional BREEAM credits which has resulted in the installation of 7.5kWh of panels on the roof of the Nursery. 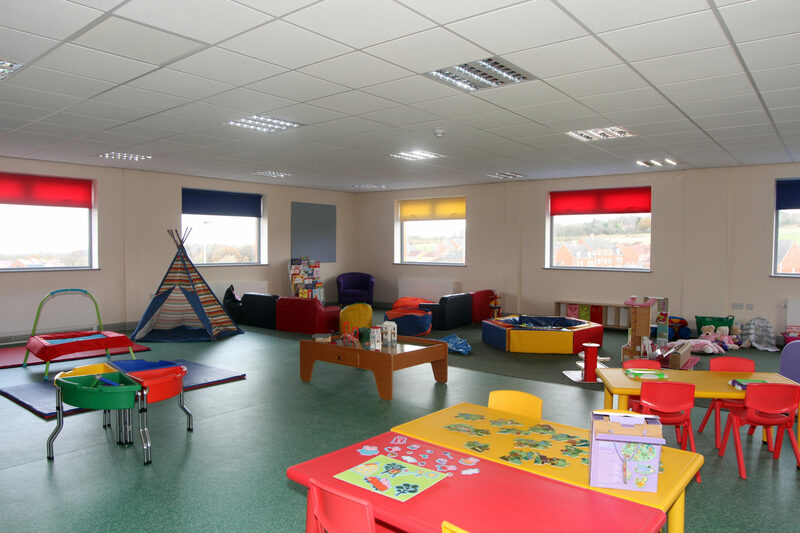 The project completed almost one month ahead of schedule enabling the operators to gain extra time to dress the rooms and open prior to Christmas 2013.